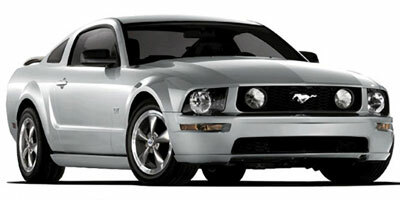 Indulge yourself in our 2009 Ford Mustang Coupe! Powered by a 4.0 Liter V6 that offers 210hp while paired with a 5 Speed Automatic transmission. There is no doubt this Rear Wheel Drive will be fun to drive, and you will appreciate near 26mpg on the open road! Inside, this Mustang features a handsome retro-styled interior that recalls the Mustangs of the 1960s with the amenities and technology of the 21st Century including AM/FM/CD/MP3 player, keyless entry and power door locks and windows! Check out the photos of this beautiful pony and picture yourself behind the wheel revving the engine! Ford adds piles of safety equipment along with the qualities that made classic Mustangs like this one from 2009 great! Print this page and call us Now... We Know You Will Enjoy Your Test Drive Towards Ownership!